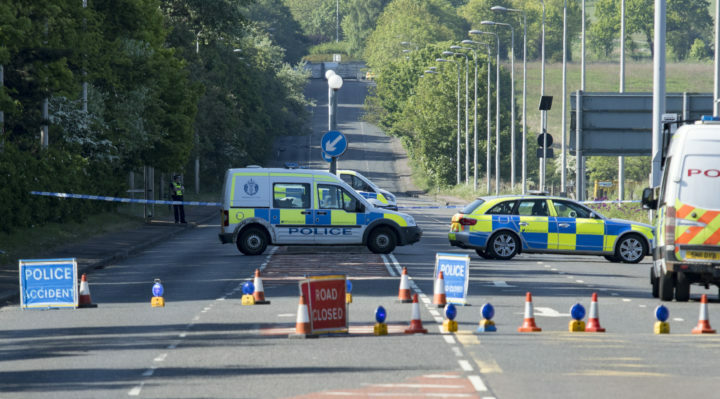 Police in Edinburgh have launched a criminal investigation following a fatal road collision that took place in the early hours of Friday 25th May. At around 12.30am, a grey Audi A3 was seen travelling at speed from the Barnton area towards the Maybury Roudabout when the car drove along the chevron area to overtake a number of vehicles. As the Audi approached the roundabout, it headed into the opposing carriageway, causing a BMW to swerve and collide with a Peugeot 206 travelling in the opposite direction. Following the collision, the Peugeot 206 caught fire. This was extinguished by the Scottish Fire and Rescue Service, at which time the sole occupant of the car was sadly found dead inside. 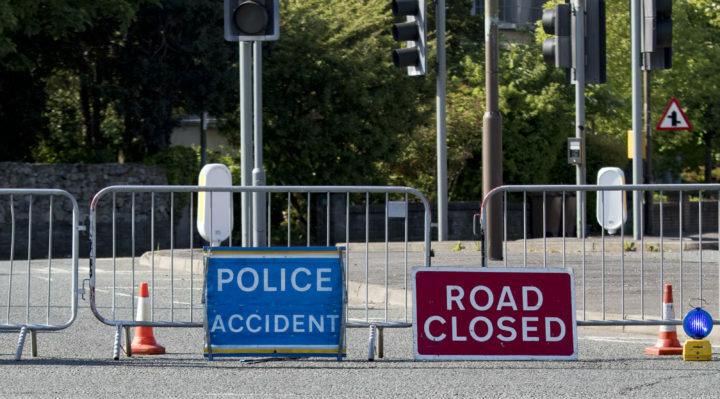 A 25-year-old man, 22-year-old woman and 5-year-old girl, who were within the BMW were all taken to the Royal Infirmary of Edinburgh, where they continue to be treated for their injuries. The Audi A3 then made off from the area. As a result of police inquiries, the Audi was recovered by local officers in Fife within Lochgelly Road, Cowdenbeath, near to the local ambulance depot, at around 3.50 am. The Audi A3 was stolen from the Liberton area of Edinburgh on 17th April 2018 and has been outstanding since. A major investigation is now underway to trace the driver and any other occupants of this car and anyone with information is asked to come forward. The road remains closed at this time and local diversions are in place. Detective Chief Inspector Paul Grainger from Edinburgh CID said: “At this time we believe the stolen Audi A3 has been driven in a dangerous and reckless manner, which has caused this collision to take place in which a person has died. Those within this vehicle have then failed to stop and it appears they have thereafter travelled into Fife. “We have dedicated significant resources to this inquiry and while we have now recovered the Audi, the driver and anyone else within the car are yet to be traced. “As part of this investigation we are keen to know if anyone has seen the stolen Audi A3 being driven or in unusual or suspicious circumstances in Edinburgh or elsewhere since 17 April 2018. “We are also keen to trace the occupants of a silver-coloured hatchback car, which is believed to have been travelling in convoy with the Audi and is also believed to have headed into Fife. 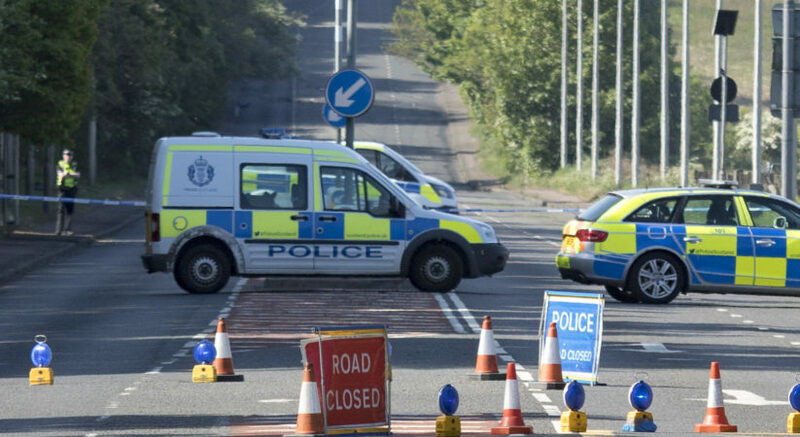 Chief Inspector David Happs, Local Area Commander for North West Edinburgh, said: “We recognise the impact this incident has had on the local community, not only in relation to the traffic issues, but due to the harrowing nature in which a person has died. “While Road Policing Officers and CID conduct their respective investigations, local resources will be conducting door-to-door enquiries within the Barnton and East Craigs areas to speak with the public and hopefully gather information of use to the inquiry. Those with information can contact CID at Corstorphine via 101 and quote incident number 108 of the 25th May. Alternatively, an anonymous report can be made to the charity Crimestoppers on 0800 555 111.